WGI Sport of the Arts, the world’s leader in producing indoor marching events, today announced a strategic partnership with the Asian Marching Band Confederation. A ceremony signifying the relationship took place at the University of Dayton Arena during the WGI Percussion and Winds World Championships happening this weekend. Also known as “the Marching Arts Power of Asia,” the organization was founded in April 2016 and has rapidly expanded by sanctioning events in China, Hong Kong, Indonesia, Malaysia, Philippines, Taiwan, and Thailand. WGI was in attendance of the inaugural meeting of the AMBC in Shanghai and shares similar values in education and judge training. 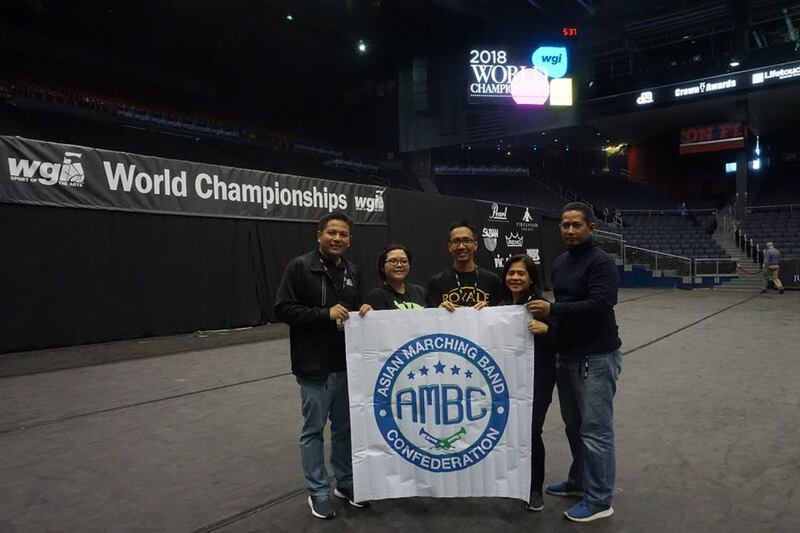 Working together with AMBC member countries, WGI has been able to make extraordinary progress in bringing WGI events to Asia beginning with competitions in Malaysia and Thailand in 2015. In January, WGI produced its first event in Tokyo, Japan, and has announced another new event in Manila, Philippines on June 22-24. Other events in Indonesia, Malaysia, and Thailand are also slated for this fall. For more information on the Asian Marching Band Confederation, please visit their website.